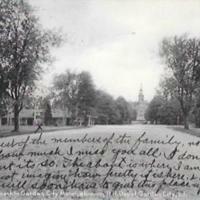 Approach to Garden City Hotel. Garden City, L.I. 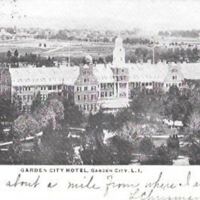 Approach to Garden City Hotel, Showing R.R. 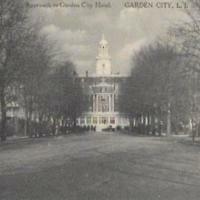 Depot, Garden City, L.I. 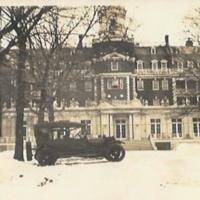 Garden City Hotel. 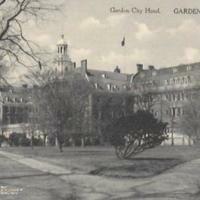 Garden City, N.Y.
Garden City Hotel, Garden City, L.I. Construction worker sitting on crane in front of the Garden City Hotel. 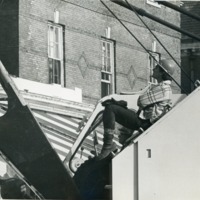 The crane was used in the demolition of the hotel.